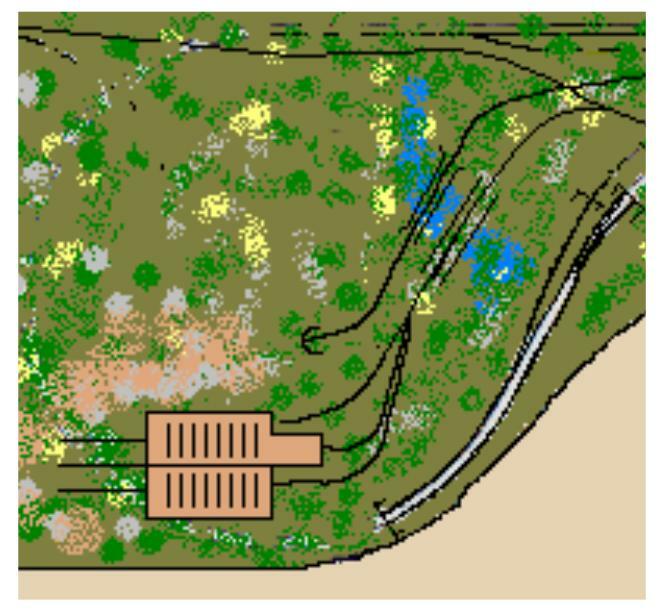 The southwest corner at Roseville was the first area the visitor saw when entering the layout room, so it was logical that this would be the first area finished. As you can see in the photos, bench work was standard L-girder and risers with 3/4" plywood. On this we laid Homasote strips beveled on the edges for roadbed. It was then painted to seal it against moisture. (Very important to do that) We used white paint only because we had a lot of it. It doesn't matter what color you use because it will get covered up later anyway. 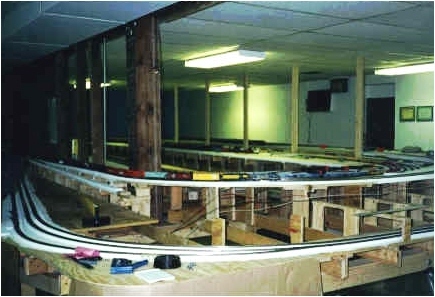 The track was then laid, wired, and weathered. 1994 The picture above shows Roseville corner just after the track work was laid. This is six months after the bench work was begun. The next step is to wire and weather the track, then install the backdrop walls. 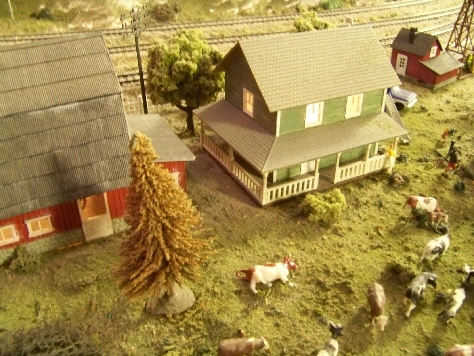 The outside corner is now occupied by a very detailed farm, complete with out-buildings, machinery, and lots of animals. A plug-in panel for throttles is also located here, along with numerous other locations around the layout. A number of switching possibilities exist here. Here is the Empire Refinery, where a light Mikado has just dropped off a load of tank cars. 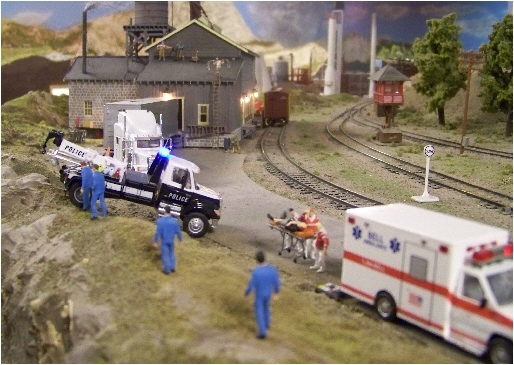 An accident victim receives aid from paramedics. 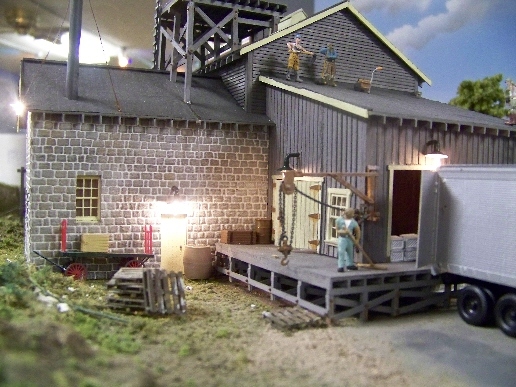 A highly detailed meat packing plant highlights this area. Since this was the first area finished 15 years ago, it was beginning to show its age. 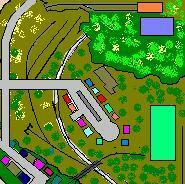 It was revitalized with fresh scenery and some buildings replaced with some newly scratch-built ones. 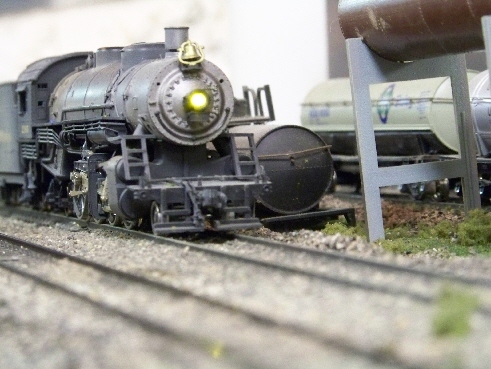 Photos and text on this site are � 1977 - 2010 Sheboygan Society Of Scale Model Railroad Engineers, Ltd. All rights reserved.